Should PM be serving Prosecco at Chequers? British prime minister Theresa May has been serving up Prosecco to disgruntled MPs it has emerged, but why not woo them back with a glass of something British? As reported recently in The Times, May has been on a “charm offensive” of late, seeking to win over jaded MPs in her Conservative party with Prosecco-fuelled garden parties at Chequers, the Buckinghamshire home of Britain’s prime ministers. May is clearly hoping that the Italian fizz and genteel setting of the Chilterns will go some way to soothing the worries and doubts of those members of the party losing faith in her leadership due to her handling of the ‘Brexit’ negotiations and losing a majority at the last general election. Although relatively minor news, the revelation that the upper echelons of the British establishment continues to buy and serve non-English or Welsh wine caused a (correspondingly minor) disturbance in the wine ‘Twitterverse’. 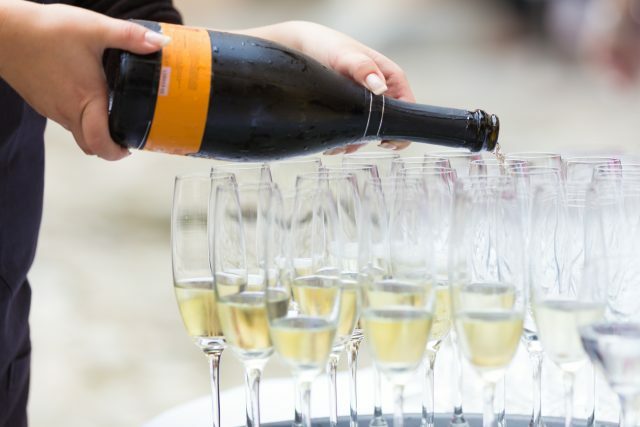 Wasn’t this exactly the sort of occasion “to show off English and Welsh sparkling wine?” suggested The Wine Show’s presenter Joe Fattorini – especially since at least one Conservative MP has called for British embassies to do more to serve English wines at official functions. To be fair to May, she is not hosting foreign dignitaries so it’s not exactly a chance to “showcase the ‘Best of British'” in the way schmoozing a Chinese trade delegation is, and the cost of these events (estimated to be many thousands of pounds) is being paid for from the Conservative Party funds as only state entertainment is covered by the government. On the other hand, in these tumultuous and uncertain days of Brexit, perhaps May has missed an opportunity to be seen spending money on British produce – or is she just trying to seduce unruly MPs on the cheap? *At the turn of the 20th century Britain became tremendously concerned that Germany’s production of ‘dreadnoughts’ – an extremely well armed and armoured warship – was catching up with Great Britain’s. If this happened, it was argued, the Royal Navy might lose control of the seas in the event of war with Germany, which many then considered likely (and which indeed proved to be the case in 1914), leaving Britain open to invasion. Cue many thunderous headlines asking what the government was doing about this ‘dreadnought gap’.